Surely there is nothing new under the sun and this includes social media. Although it is sometimes referred to as new media, there is nothing really new about the foundational principles underpinning social media marketing. Admittedly, what is new are the social media tools like Facebook, Twitter, Yookos or Youtube for instance but essentially, these tools simply facilitate our fundamental desire to socialize with fellow humans and this is what we are hard-wired to do. We all have a deep desire to connect and converse with each other. Another not so new phenomenon is Content marketing. 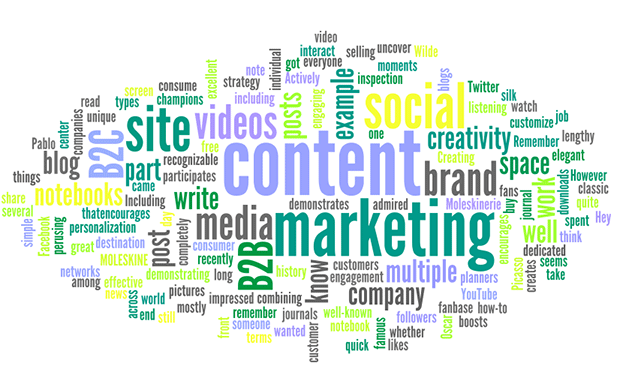 Although this term was first used as early as 1996 by John F. Oppedahl at a roundtable for journalists at the American Society for Newspaper Editors, content marketing has been in existence way before that and I will demonstrate what I mean, but first a brief definition of content marketing from the Content Marketing Institute. The German pharmacist, Dr August Oekter, is credited with starting the ball rolling in 1891 when he developed a baking agent called Backin and sold it to households with recipes printed on the back. Dr Oekter then created his first recipe book in 1911 and it was so successful that today it is one of the best selling recipe books globally reaching 19 million printed copies. John Deere is often quoted as one of the originators of content marketing. The story goes that Deere invented an innovative plough but did not have a budget to market it to the farmers. He then started small localized classes in which he taught the farmers on new ways of farming. These classes were so popular that he was inspired to create a magazine, The Furrow, in 1895. This magazine, still in circulation, is considered to be one of the most successful farming magazines with over 1.5 million subscribers and has been translated into 41 languages and is sold in 12 countries. The Jell-O example is another classic example of the genesis of content marketing. At the time of the creation of Jell-O, Jelly was not a fancied product at all. The company salesmen then started distributing free recipe books door to door in 1904. This content marketing campaign was so popular that sales rose to over $1 million by 1906. So indeed, there is nothing new under the sun. However, for me the critical question is what are the best ways of creating content marketing campaigns and what are the main things that must be put into consideration? Content should then be created for this persona, the one person representing the target audience. It is very important for the “story teller” or marketer to help the persona in solving a perceived problem and not on selling a product or service. Content marketing seeks to increase a brand’s market leadership through thought leadership. For example, a beautician who offers a lot of free beauty tips is considered to be a leader in her industry and the probability that customers will consider her products and services when they have to make a purchase decision is very high. Recently, my colleague from our Lagos office introduced me to an exciting series of humorous Youtube video clips which are part of Guaranty Trust Bank’s content marketing initiatives. Featuring a comic character called Officer Titus, the videos are entertaining but do not market the bank’s services in an overt manner. The only reference to the financial institution is done at the beginning and end of the clip. Done correctly, content marketing produces awesome results at low and sometimes, no cost at all.